Popular interpretations of our nation’s early history often make it appear that the genius of our form of government stemmed from a Founding Fathers’ epiphany that resulted in adoption of our Constitution in 1787. In reality, it was the result of over a century and a half of political innovation and tension, self-education and, finally, power struggles that began at Jamestown in 1616 and later in New England. Our ancestors enabled and engaged in our own nation building that was a major contribution that resulted in our society, culture and country. Jamestown’s founding has a deeper meaning than merely being one of our national origins. It was the unique and seminal incident that introduced the opportunities to innovate the many profound social, entrepreneurial, political, and economic tenets that have come down to us through our history. Its pervasive and lasting effect is what has differentiated Jamestown from all other English and European colonial settlements that were among our origins. That lasting effect is the best evidence of its contribution to establishing our nation. At the demise of the Virginia Company in 1624, it would become a new venture into self- governance that would forever influence the political development of England’s colonies and our own form of government; it created the momentum for our own nation building. Here began our nation’s lineage, tracing on down through the Virginia experience that led to the Federalist Papers, Virginia Plan at the Constitutional Convention and adoption of the Constitution itself. In addition to their attributes, faith, courage and determination, what our ancestors then accomplished and contributed is as relevant and important as who they were and when they came. Their 17th-century achievements instigated what we are today. Importation of marriageable women by the Virginia Company to help create and establish families to sustain Jamestown’s viability (1620-1); a practice that endured into the 19th century to further the populating of our-then frontier. Creation of the then-unique concept of geographical legislative representation (as compared with the English Member of Parliament being unobligated to his constituents). Institution of the protection from self-incrimination, which eventually became our Fifth Amendment (1677). These accomplishments and innovations demonstrate why Jamestown has a deeper, salient and more profound meaning than being just one among our national origins. It was where major threads of our heritage were spun and woven into our national fabric and the building of our nation began. Our ancestors’ most important achievements were their success in learning to self-govern and cultivating their own rule of law and civil society. This is by James H. McCall. He is a descendant of Ancient Planters Richard and Isabella Pace. 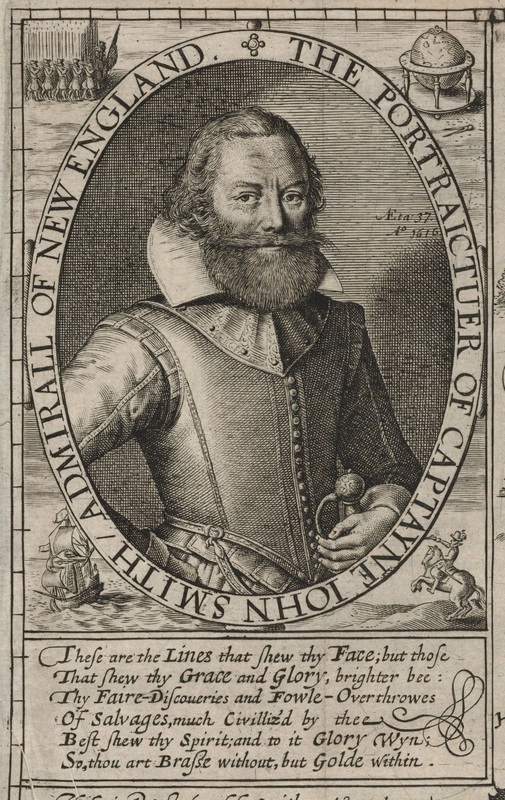 The individual who is most popularly associated with Jamestown’s earliest years is Captain John Smith. He was among the 104 who first landed at Jamestown and brought with him an accomplished military career. The combination of his assertive nature and lesser-class status created conflicts with hereditary aristocrats who composed the rest of the colony’s leadership; they almost hung him on at least two occasions. 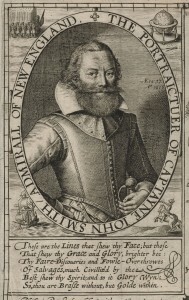 Nevertheless, the combination of his leadership skills and their deaths and departures cast him into the colony’s presidency about a year after the landing. His attributes generated respect that enabled him to deal more or less successfully with the indigenous Powhatan tribes and their chiefs. This gave rise to very unlikely but popular legends about the young (10 or 12 year-old) Pocahontas. He also brought discipline to the settlement at one of its most precarious times, successfully explored the entire Tidewater region and produced a map of it that was still being used well into the nineteenth century. After a devastating injury, he returned to England in October 1609. Without his leadership, Jamestown suffered the calamitous “starving times” in the winter of 1609-10 and was almost abandoned. First California Company offers experienced speakers who can lecture and organize educational programs about Jamestown and its history, profiles of members’ ancestors, the life and customs of the period, summaries of current research at the Jamestown Rediscovery archaeological site at Historic Jamestown and the development at Jamestown of tenets that became some of America’s most precious personal, economic and legal rights. These lectures and programs are designed to foster understanding of Jamestown’s place in early American history, and as help and aid to instruction for organizations, schools and groups learning about its founding and history and its settlers: the stories of our ancestors. First California Company speakers are available to present these programs to any school, organization and group. For more information, please contact our Governor.